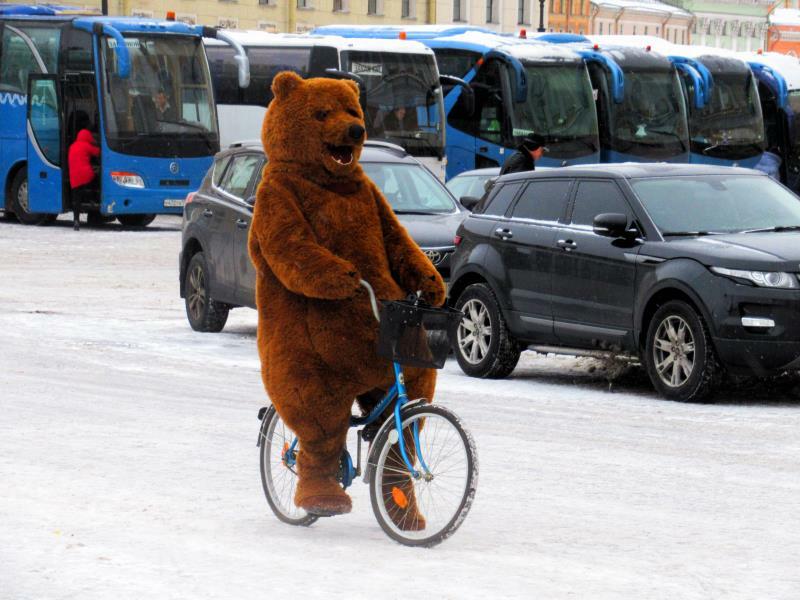 The mascot bear posed at the bicycle at the Winter Palace. 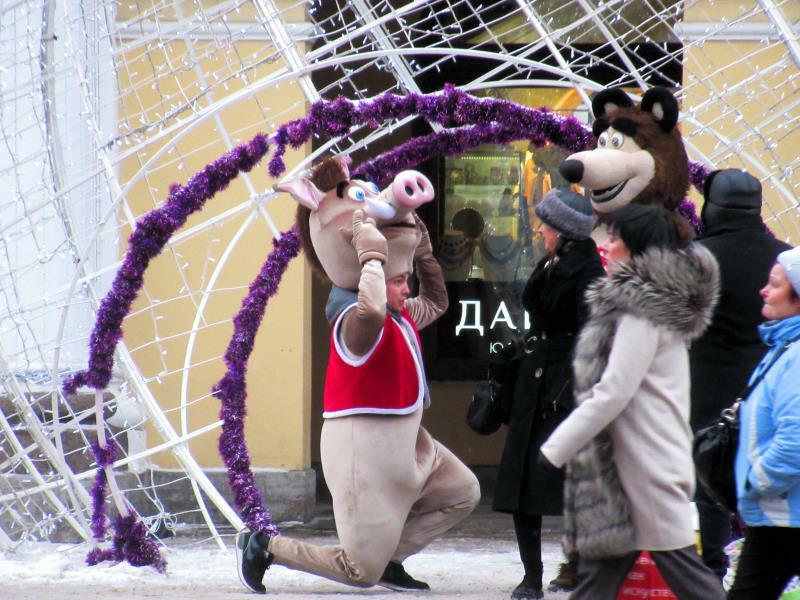 The mascots are common business trick at the center of |Saint Petersburg. They are mostly harmless. 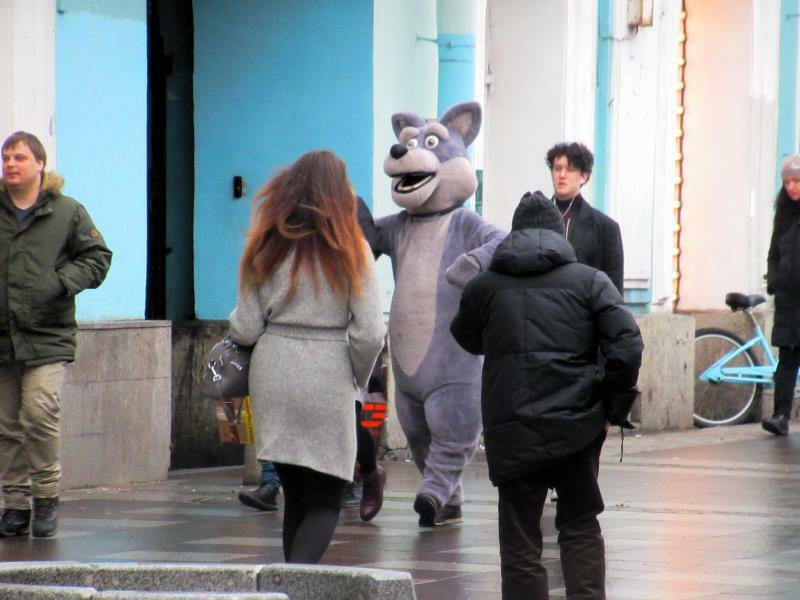 It is mascot of something animal. Friendly and unrecognizable. Let it be. Icy Neva River near Winter Palace is the place for photo session. 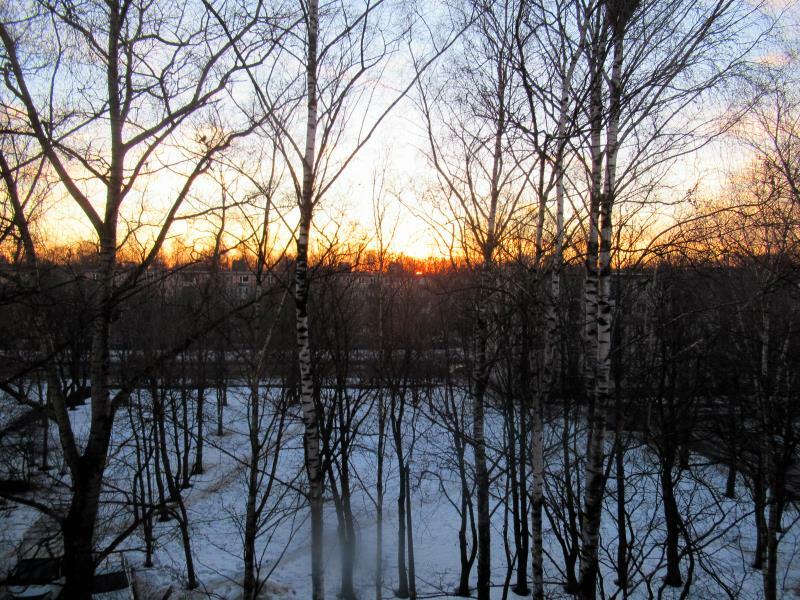 Sunset in Saint Petersburg winter time has own flare. There absent of any foliage opens view even in areas with dense tree planting. 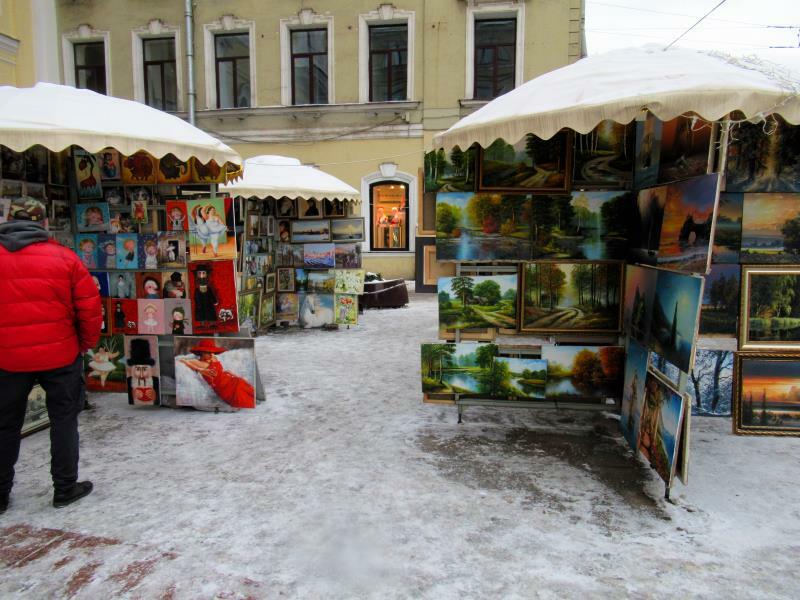 There is famous street art gallery at the Nevsky Prospect. 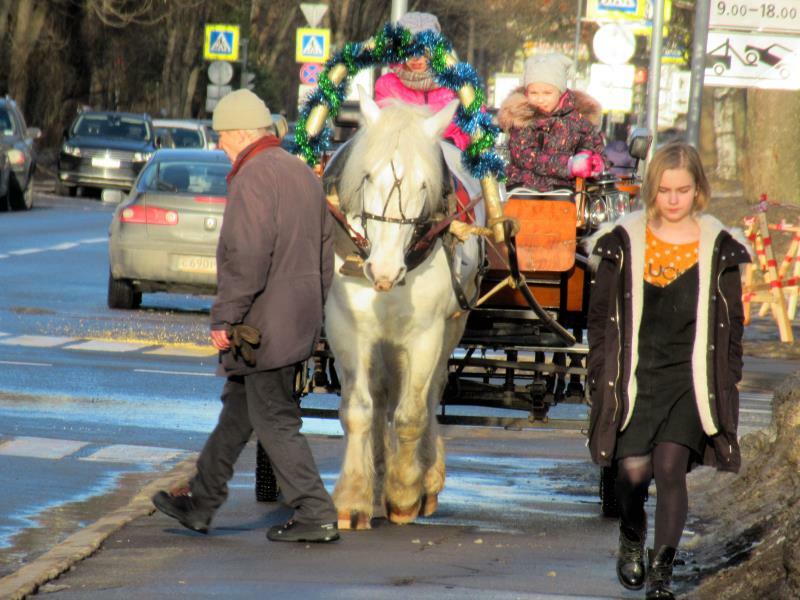 Horse riding is a common attraction in many cities and Saint Petersburg adopts the practice bringing history exotic to nowadays. 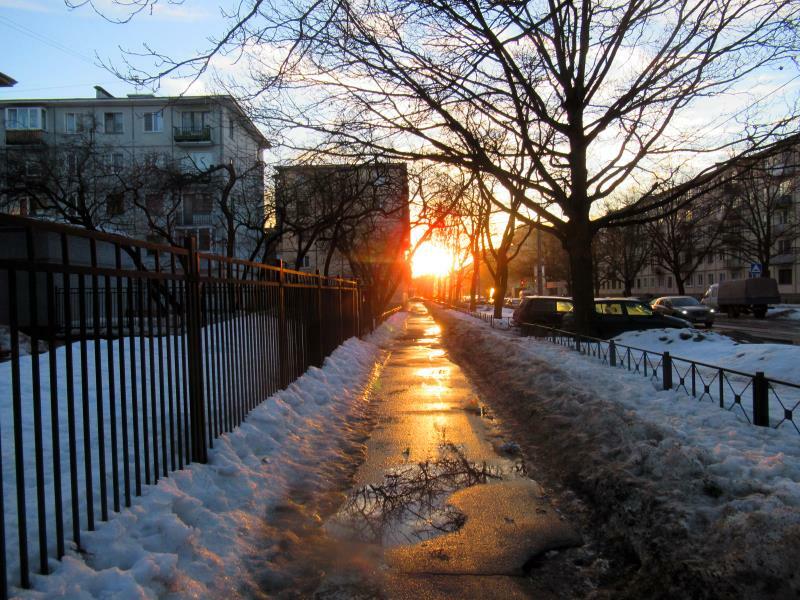 Sometimes when one walking the street the reaction at the something at it is confusion. What it was can you ask himself. 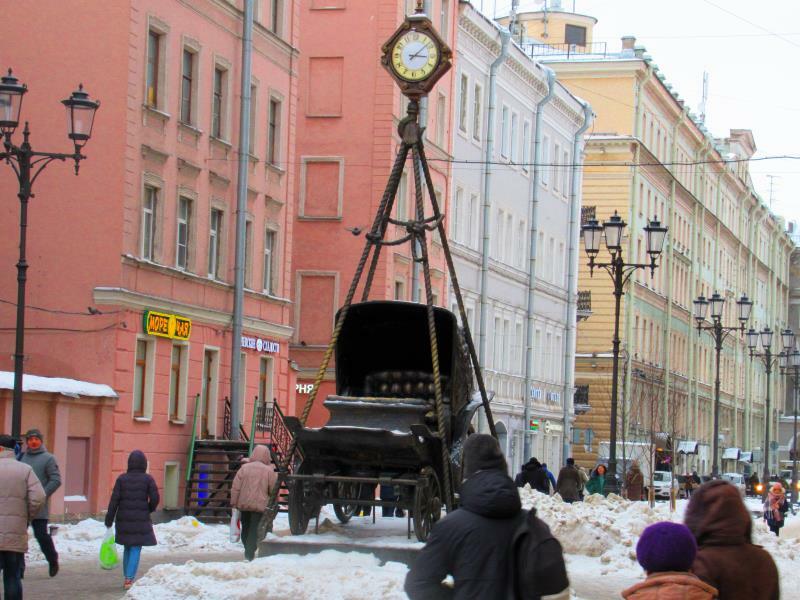 There are commemorations of literature characters in Saint Petersburg. 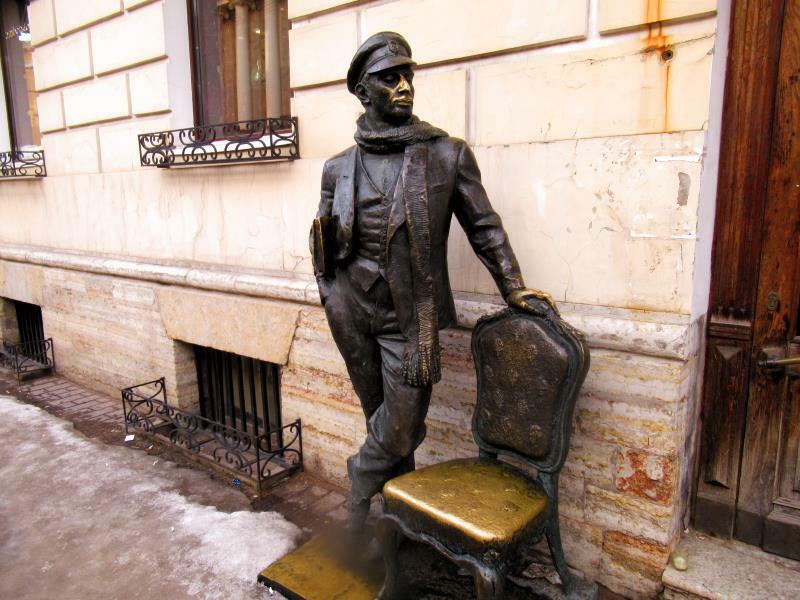 In this particular case the is statue just at sidewalk of fictional con artist Ostap Bender near object of his quest for treasure hidden in the chair.